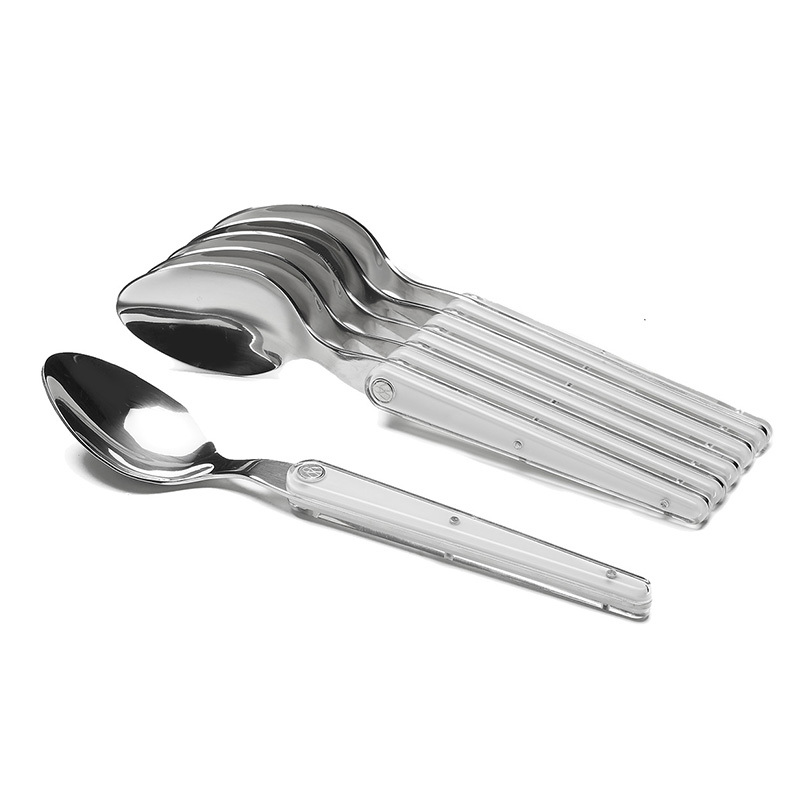 Signed by French knife maker TB Groupe, this set is composed of 6-teaspoons from the Laguiole Evolution Sens range. 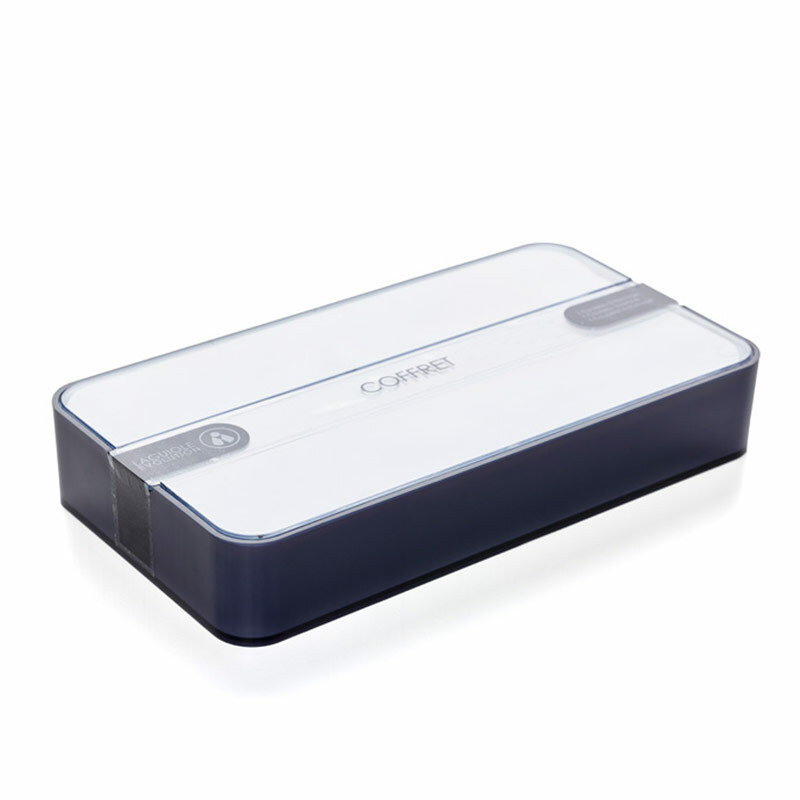 Made of high quality stainless steel, this white flatware has an ergonomic ABS handle. 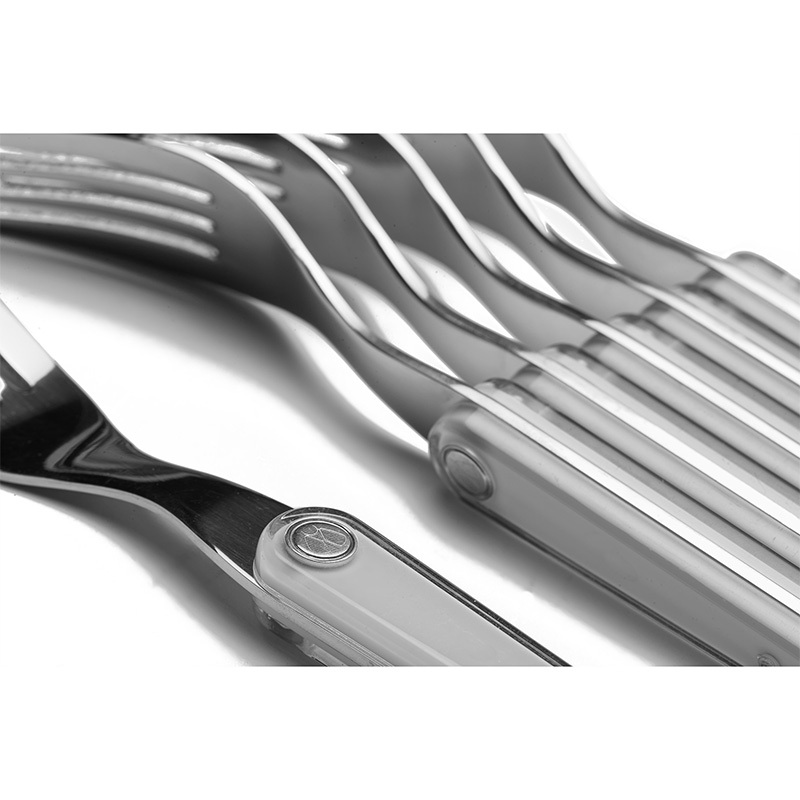 The white flatware coming from the Laguiole Evolution Sens range is very easily recognisable by its look which elegance is the first characteristic. TB knife maker reinvents the timeless lines of the traditional Laguiole knife by updating the manufacturing with contemporary materials. Another asset of these Laguiole Evolution teaspoons is the very rich in chromium stainless steel material, which it is made of. 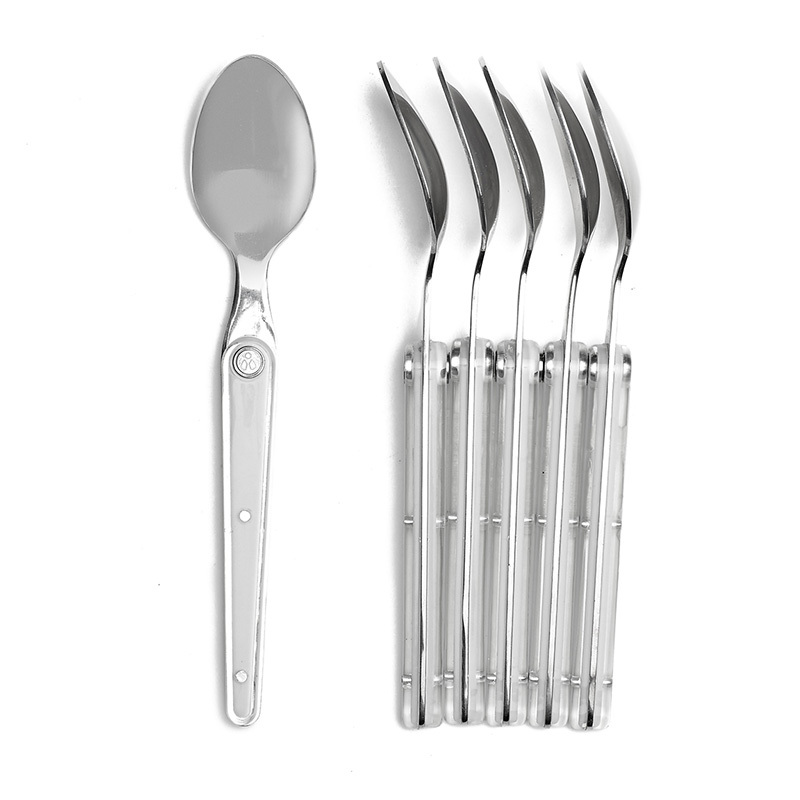 Its corrosion resistance is very efficient and consequently, it is a very sturdy flatware. 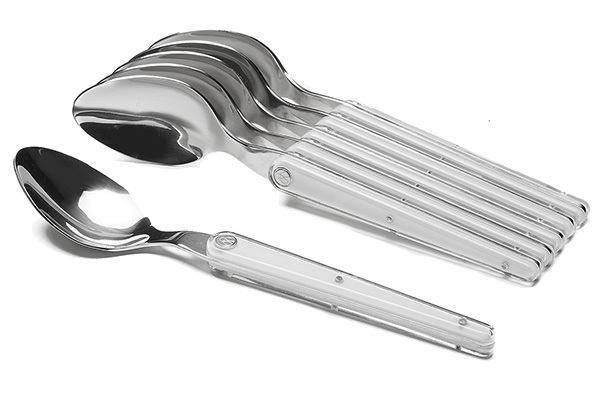 Made of ABS, the handles of these teaspoons are robust and ergonomic.